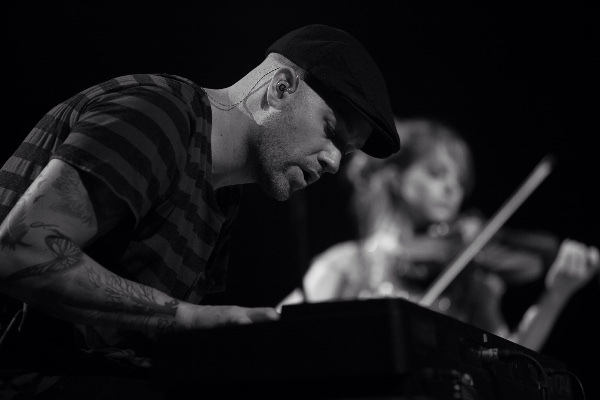 Jason “Gavi” Gaviati is my brother. Jason is a touring musician, songwriter, and producer who has spent the last several years traveling the world with Lindsey Stirling. While on tour in Germany, Jason sought medical care for an enlarged lymph node on his neck. Upon returning to the U.S. we were given the gut-wrenching news that none of us wanted to hear: Jason had Burkitt Lymphoma. Burkitt lymphoma is a form of non-Hodgkin's lymphoma which is recognized as the fastest growing human tumor. Burkitt lymphoma is associated with impaired immunity and is rapidly fatal if left untreated. This is an extremely hard time for those of us who love and care about Jason. As those of you who know Jason can attest, he is a genuinely kind-hearted and hilarious person whose never-ending positive attitude brings light to everyone he meets. He is a loving uncle, brother, and son whose talents extend far beyond those he brings to the stage each night. If you know him, you love him…. Jason has a long and difficult road ahead, but with your support, he can make it through. Jason is not one to ask for help, but is always the person who is willing to help everybody else. Any money received will go directly to Jason. With his inability to tour, and mounting medical bills, every little bit counts. If you are unable to donate, all we ask is that you keep Jason in your thoughts and prayers, and maybe send some good vibes his way. We will try to keep you informed about Jason’s fight and post regular updates. Please feel free to share! With much love and appreciation - THANK YOU!! It's with a broken heart that I share this news...news I never imagined I'd have to share. Jason had always stressed the importance of being upfront and honest with all of you about his health and treatment, so this will be no different. Earlier today, Jason was rushed to the Emergency Room after experiencing difficulty breathing and losing consciousness. Jason was in cardiac arrest. Paramedics successfully resuscitated him; however, once he arrived at the hospital, his heart stopped once again. Although medical staff were able to regain a heartbeat, it was weak, and continued to slow until it ultimately took its last beat. Despite the specialists' best efforts, Jason passed away at approximately 5:00pm PST, November 21st, 2015. None of us can believe he's gone. Jason was so appreciative and touched by your support and your messages of encouragement and love; yet, at the same time, never felt worthy. He was special. Like I said in my very first post, if you knew him - you loved him. Our family cannot articulate how much our heart aches right. We are shocked and have many questions. Yes, he was in remission. Yes, he was just seen by a doctor two days ago. As we get answers, we will share them with you. We are working with Jason's friends to organize a celebration of his dear sweet soul. Your love means so much. As always, much love to you all. Hey everybody, it's GAVI! 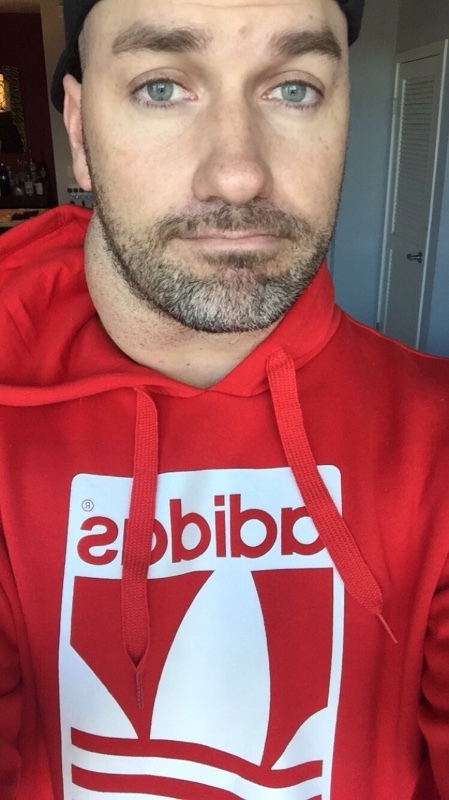 Wanted to check back in with you again and give you another update on what's been going on. Last week I finished my second round of chemo. Luckily, it was a lot easier then first one for me. I only had to be in the hospital for 6 days this time compared to 28 like the first time. Unfortunately, it still took me a while to regain strength in my body while here at home, but feeling better now! I still have at least one more chemo regimen to go, with a fourth as an option depending on my progress. My oncologist also brought up the possibility of a stem cell transplant at the end of my treatment since they found some of the cancer in my bone marrow and spinal fluid early on. Hopefully that won't need to happen, but you never know. I'm willing to do whatever it takes to crush this thing so I will definitely get that done if needed! Thank you all for the messages!!! Keep them coming. I love them!!! I've said it before... I can't wait to get healthy enough again to be back out on the road so I can personally thank ever single one of you for the love and support! Not sure how I'm gonna do it yet, but I'm gonna figure out a way of repaying all you for what you've done for me during this process. Love you guys so damn much! Hello, again! 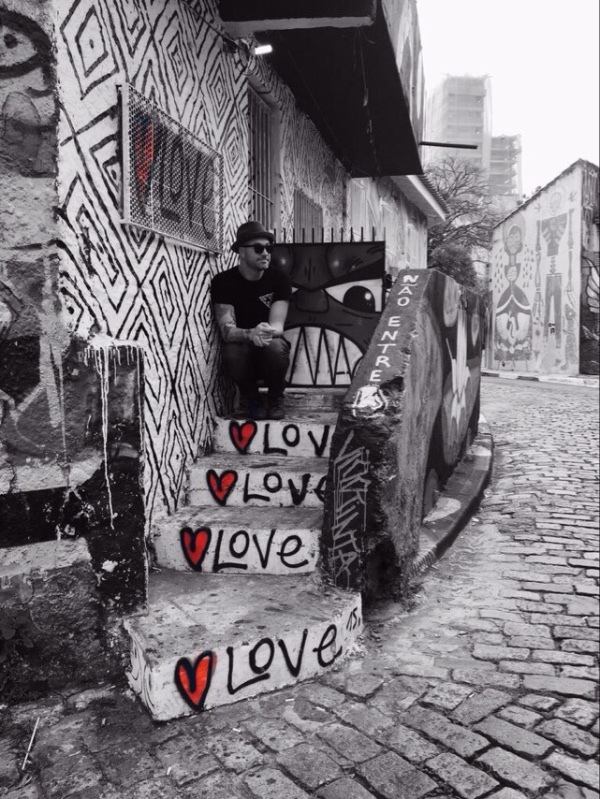 First and foremost, thank you to all who have continued to support Jason (I know most of you know him as 'Gavi', but he will always be Jason to us... Ha!). Your videos, edits, tweets, and messages fill our hearts more than words can express. It's truly surreal to read through the endless stories of hope and encouragement we receive. We love them all, so please keep them coming! Yesterday marked the end of Jason's 3rd week in the hospital. He finished the first full cycle of chemo and is experiencing what he refers to as "a living hell." He has been unable to eat or drink for the last 9 days without vomiting (although just today he began to tolerate small amounts of liquids). His throat, mouth, and lips are raw and blistering as a result of mucositis, and is causing significant pain and making it difficult to talk (let alone eat and drink). Additionally, his white blood cell count is almost nonexistent, so his immunity is compromised. He's lost an estimated 20 pounds and says he feels like his leg muscles have essentially disappeared. The fatigue has been overwhelming, unlike anything he has ever experienced. Now for the good news - Jason's treatment is overseen by one of the most renowned lymphoma specialists on the west coast. The lymph node in his neck that once grew to the size of a grapefruit, decreased in size almost immediately after starting chemo, and is now back to normal. Also, the cancer cells that were initially present in his central nervous system fluid no longer exist. The treatment is working! For this, we are grateful. Once his white blood cell count improves, he will be allowed to go home for a few days, before he returns to the hospital to start it all over again (although we've been assured the next round of chemo will not be as intense - fingers crossed!). This is definitely the fight of his life; a fight that will continue for the next 3-6 months. The entire Gaviati family is overwhelmed by your outpouring of love, light, and compassion, not to mention impressed by the creativity that you've shown!! What follows below is a video link we recently received from fans in Poland that brought us to tears (featuring music from Jason's previous project, Birds of New York). Our hearts are full. Much love to you all. Great news!! Jason is finally starting treatment!! After two frustrating weeks of health insurance headaches and dead ends, we met an amazing lymphoma specialist who has become an incredible advocate. 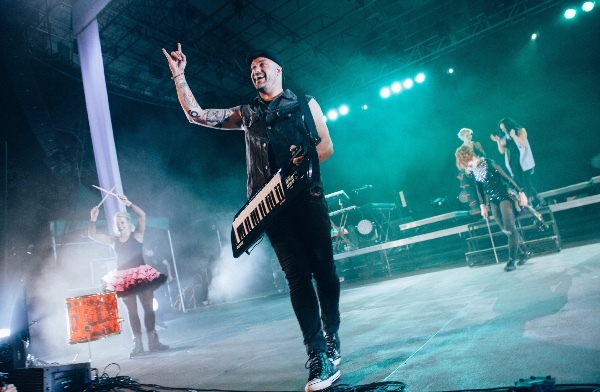 Jason is currently in hospital enduring x-rays, bone marrow draws, and painful spinal taps, all while maintaining that "Gavi positivity" we all know and love. We anticipate chemotherapy to begin within the next 24 hours, so keep those prayers and good thoughts coming! Jason has been overwhelmed by the amount of love and encouragement he has received from loved ones, childhood friends, and Stirlingites all over the world: Russia, Brazil, France, Czechoslovakia (shout out to Petr and the CZ/SK fan club! ), Switzerland, China, Mexico, Australia, Germany...we can't list them all! When we were down, it was your messages of love, more than anything, that lifted our spirits. Thank you! Getting ready to insert the PICC, the line through which the chemo will enter Jason's body. I'm planning on buying a star and naming it after Gavi. How would I go about getting a copy of the certificate to you and Lindsey? 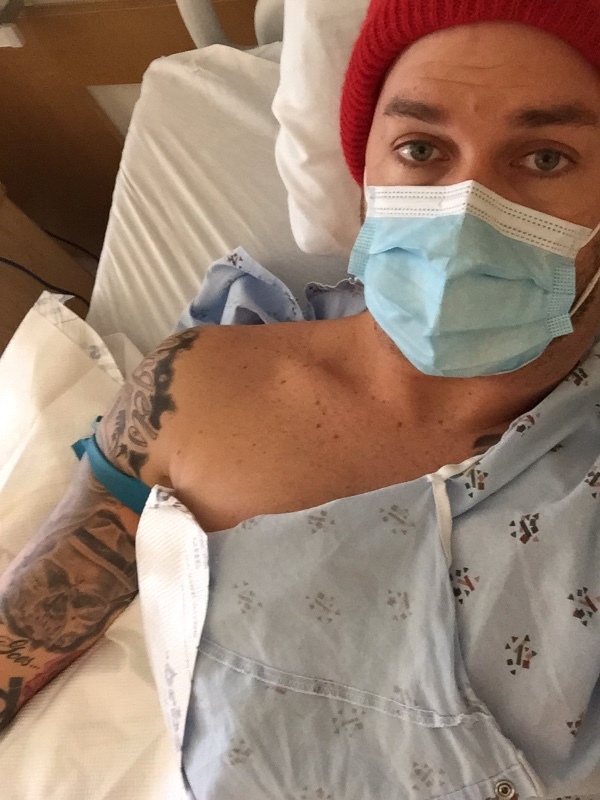 Hang in there Gavi! I know what it's like being in hospitals a lot. I've been disabled all my life and hospitals can be tough, but people like us....we're tougher! This month I'll be donating half of what I make on Patreon from my YouTube videos to this fund. Take care- Rich Olsen (Admin of OLSFG and creator and admin of LSUSA). Gavi, I expect to see you again in Argentina next year! Good Luck, get better. continuing from below....the fact that I remember him so well having only had a glancing blow against his life is a testament to who he was. My heart feels damaged for all of you that had him in your lives. You are the only ones that could know how he made your life more worth living, I only know that it would probably be impossible for you not to be made better and feel love deeper as a human, for knowing him. I just finished Lindseys book and heard the precious way she referred to her friend and tourmate, Gavi. I saw them perform in San Francisco about 2 years ago and it was.... absolutely amazing, magical and so inspiring, to name a few. Iam so sorry for your loss, all of you. My heart breaks. You are all in my prayers. I was so very sad to hear this tragic news. I first met Jason in junior high and unfortunately haven’t really known him since high school but from the outpouring of comments I’ve read, he remained the kind, happy, positive person I remember. I am so impressed with all he accomplished, he really is an inspiration. We find peace and rest knowing that it's not goodbye, just see you later. He is waiting with our Lord, undoubtedly making beautiful music, and cheering his loves ones on, waiting for them to come home. He is the nicest person I've ever had the blessing of meeting, so willing to laugh and joke and talk with me on a hotel bus at 4 in the morning on the way to the airport in Phoenix, he is a light! We will miss you dearly. I had the privilege of working with Jason in between his tours at Geisha House in Hollywood. He was the most genuine young man, and a dear friend. My love and support to all of his family and friends. Dominic Pace. I'm really sad and feel so sorry for your loss. :( Its an incredible ache If we lost someone we loved. I only "knew" him from Lindseys Concerts and from his Instagram Account but he seemt a really nice an happy person. I wish the family and the friends the power that you need. God promise us that we will see our beloved friends see again. If the time is right he will call them and they will be alive again. I believe that this promise will come soon. May you rest in peace and know you are loved, Gavi. We will never forget you and always hold you in our hearts as the master keyboardist of the Lindsey Stirling band as well as just a wonderful soul. Said a prayer for him and family. Wow I feel so blessed I got to see him this past summer on tour. Wow my heart goes out to you guys. I'm so very sorry to hear this. It made me happy to hear he had left the hospital and appeared to be on the mend. It is with a heavy heart I read your update. Love, peace, and prayers for your family. In memorial of Jason Gaviati honoring Judy Gaviati's birthday. From the #WeAreGavi Ribbon Project for the "Jason Gaviati Legacy Award" - Thanks to everyone who got a little Ribbon.